We'll have a booth at this years Inside 3D printing expo in NY this year. Stop on by and say hi! We hear MHackney will be stopping in for a bit. I'm going. So be there or be square hair care bear's chair. Your call, bro. Your call. Hey John, yes, I will be there on Friday starting early. Maybe we could meet for breakfast? Do you need any help in the booth on Friday? Anyone planning to attend? I'll be in the SeeMeCNC booth on Friday chatting and answering (simple) questions! Stop by and say hello! Ill be there today (Thursday). Sorry Ill miss you, Michael. Have fun. I'm heading out after work tonight. Be there first thing tomorrow morning. mhackney wrote: Have fun. I'm heading out after work tonight. Be there first thing tomorrow morning. I'll be there tomorrow, see you there. 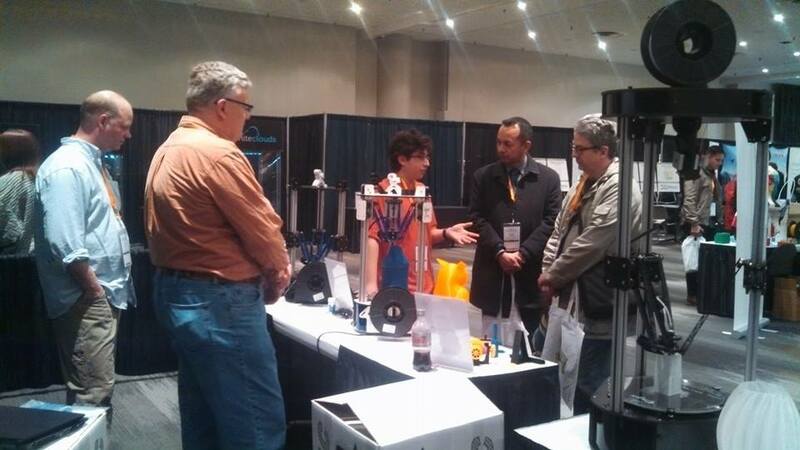 Inside 3D Printing show in NYC yesterday. This one's for you Eagle! That's Steve on the left, me, Chris, and Oly. 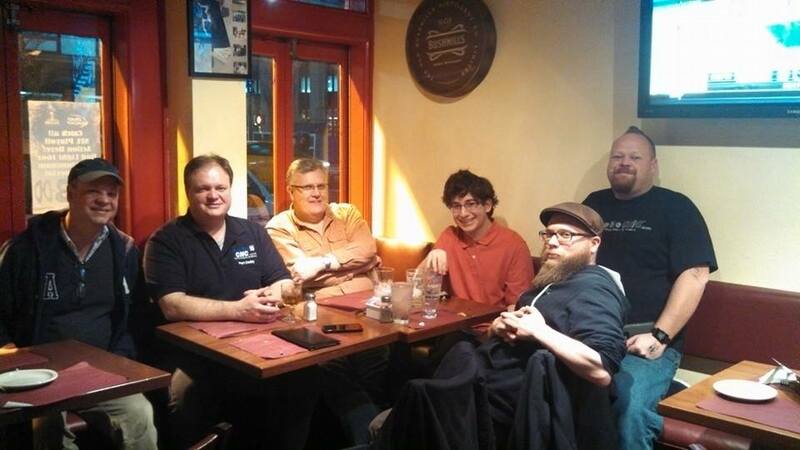 Forum member and cool dude Brent took the photo. Thanks for the picture! Damn those badges are huge! Also tell John to keep his eyes open! I appreciate it that you remembered to get the picture I requested. The badges were huge and made names really visible. I appreciated that since I could call people by their names easily.